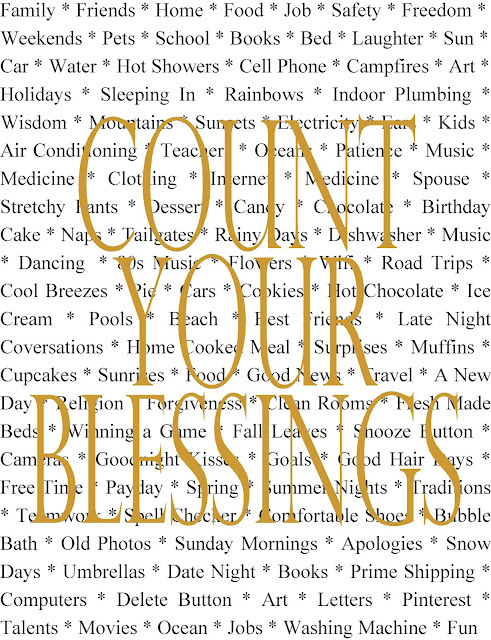 Count your blessings this Thanksgiving with this beautiful and simple Thanksgiving printable. With so many things to be thankful for, you'll be sure to be smiling with this Thanksgiving decoration on your walls. I love this time of year. It's nice to be able to look over the year and my life and be able to see the blessings that I have been given. While I look at the good and bad of this year, I can see the many things that I didn't do. Isn't that the way it is for all of us? It's so easy to see our failings and so hard to see our accomplishments and blessings. So it's nice to spend at least one day out of the year thinking about the things that we are grateful for, the blessings we have been given, and the moments and people that make it all worthwhile in the end. To that end, I counted my blessings this year and named them one by one. Then I put them on a Thanksgiving printable that you can use as a Thanksgiving decoration at your table or on your wall. 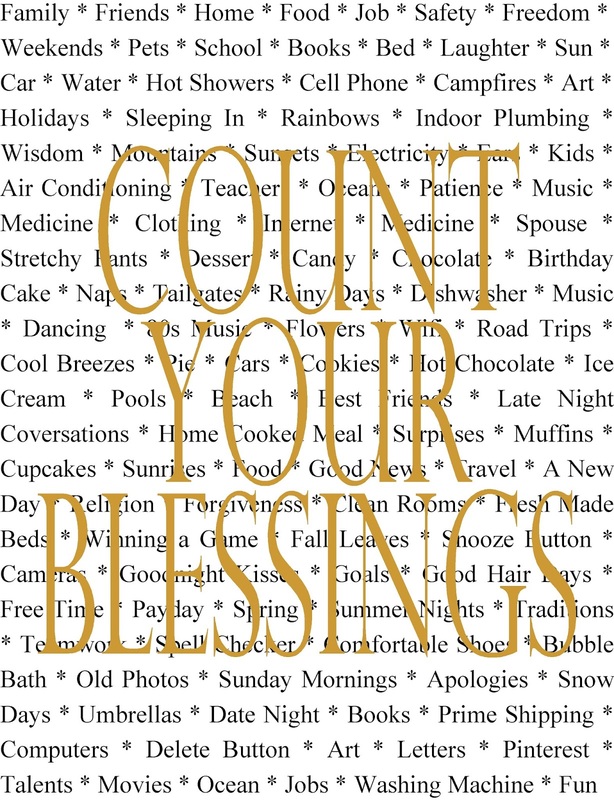 Simply print out this "Count your blessings" print and let it remind you of at least a few things you can be grateful for today. What things are you thankful for that I didn't think of? Leave me a comment and let me know! What a darling printable. Thank you for sharing.